Dozell Varner is an Account Executive at Visio Lending, specializing in assisting real estate investors with long-term alternative financing for their rental properties. Dozell has been in the real estate investing arena since 2008. As a senior in college, he launched his first company – primarily focused on consulting and wholesaling – while sustaining a full athletic football scholarship at Florida Agricultural and Mechanical University. 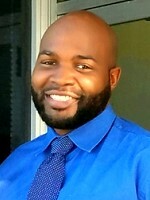 In 2012, Dozell earned his Master’s degree in Business Management and Strategy. Shortly after, he took on the role of Acquisition Manager for a Las Vegas hedge fund company, with an objective to purchase and rehab investment properties in large quantities throughout major metropolitan markets in the nation. His success in this role led to the creation of his second company, 500 ACRES LLC., a real estate investment company with a focus on acquiring and remodeling multifamily investment properties.